Welcome to Battens Plus, Inc.
Battens Plus, Inc. manufactures corrugated plastic battens for roofs. The fluted plastic battens solve many problems caused by the use of wood battens. Wood battens rot over time because they do not allow air circulation under the roof tile. The rotting of wood battens is also solved by the fluted plastic battens by allowing water to drain. Ventilated battens also keep your roof cooler, increasing the life of the roof and decreasing the energy costs associated with air conditioning. For a longer lasting roof, use Battens Plus fluted plastic battens. Follow the links in the menu above for more information on BattenUP for roofs. Battens Plus BattenUpTM roof battens now qualify under California Title 24 as an alternative to installing a "cool roof". Check out the approval letter. "Elliott Homes, Inc. has switched from wood battens to Battens Plus, Inc. flow through plastic battens at all of our California subdivisions." 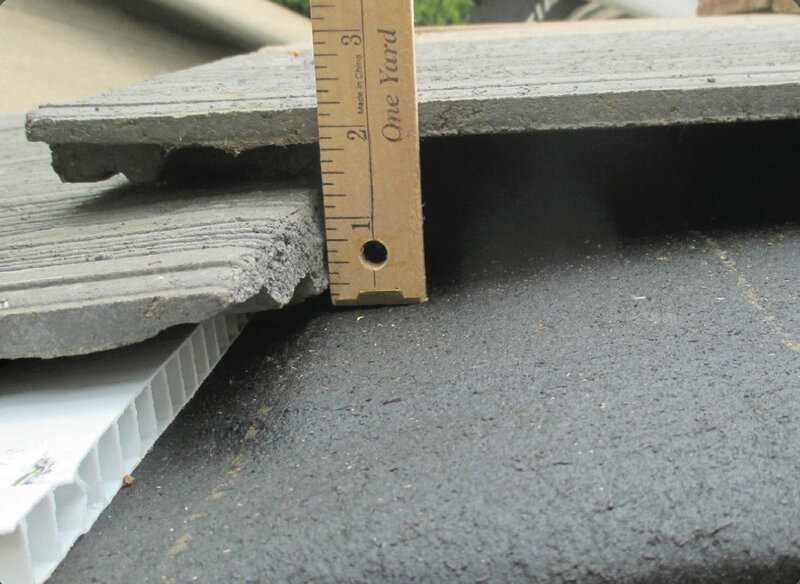 "We continue our pursuit of high standards by using the BattenUP Plastic battens by Battens Plus, Inc. to increase the quality of the roof systems of our Customer's homes."